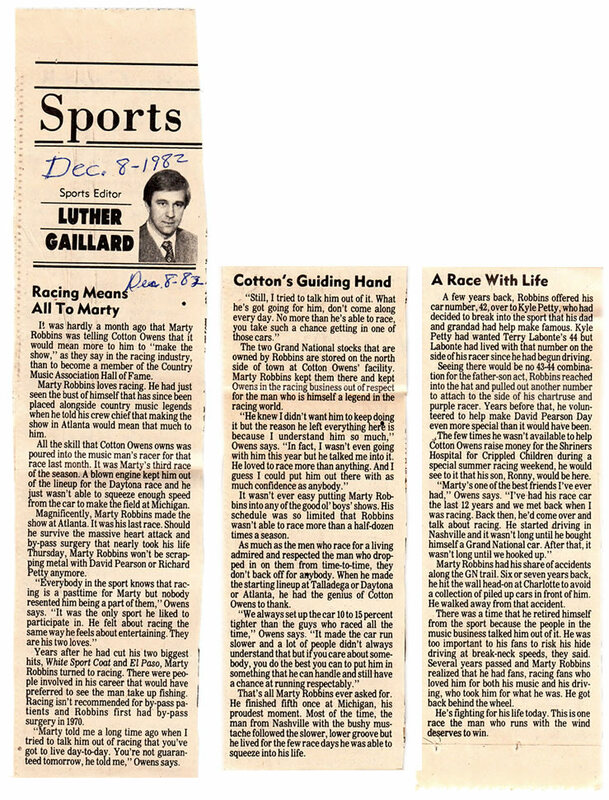 Marty loved NASCAR racing and as he had the funds to do so, he raced occasionally. His cars were built and maintained by Cotton Owens. 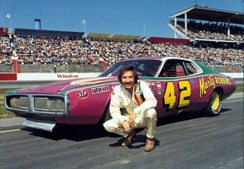 Marty Robbins always tried to run at the big race tracks (Talladega Superspeedway, Daytona International Speedway) every year, and then a smattering of the smaller races when time permitted. 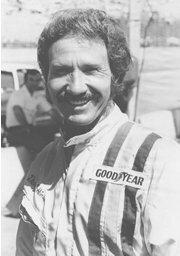 In 1983, one year after Robbins' death, NASCAR named the Nashville Fair Grounds race the Marty Robbins 420 in honor of him. Robbins typically ran cars bearing either number 42 or number 22. Over the years, he ran a few makes and models (Dodges or Fords) before buying a 1972 bodied Dodge Charger race car from Owens. 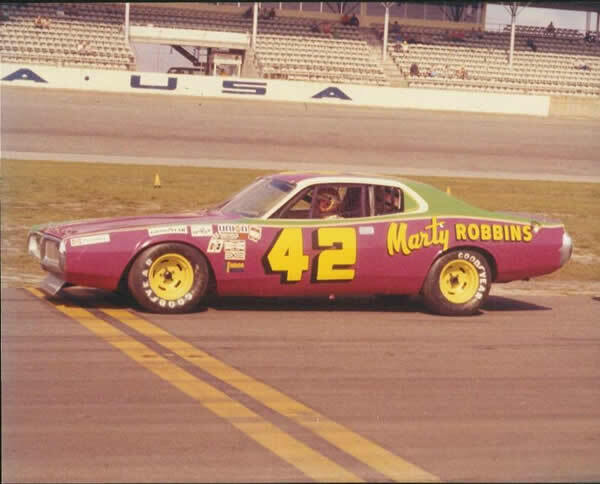 Robbins had 6 top-ten finishes as well as a few major wrecks during the '70s and had Owens rebuild the car and update the sheet metal to the '73-'74 Charger spec, and then finally 1978 Dodge Magnum sheet metal, which he raced till the end of 1980. This car was superbly restored by Owens and donated to the Talledega Museum by his family, and was displayed there from 1983 to 2008. The car is now in private hands in Southern California and raced on the Vintage NASCAR club circuit. 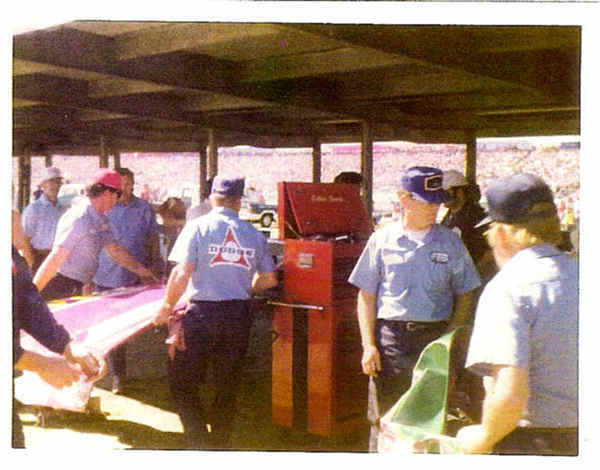 Marty is credited with possibly saving Richard Childress's life at the 1974 Charlotte 500 by deliberately crashing into a wall rather than t-bone Childress's car that was stopped across the track. 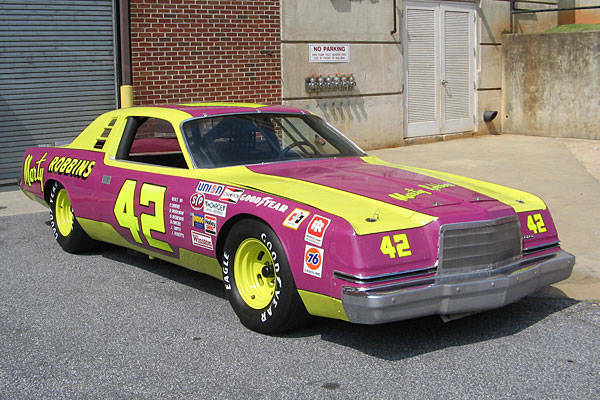 Marty's final NASCAR race car was a 1981 Buick Regal that he rented and drove in a few races in 1981 and 1982. 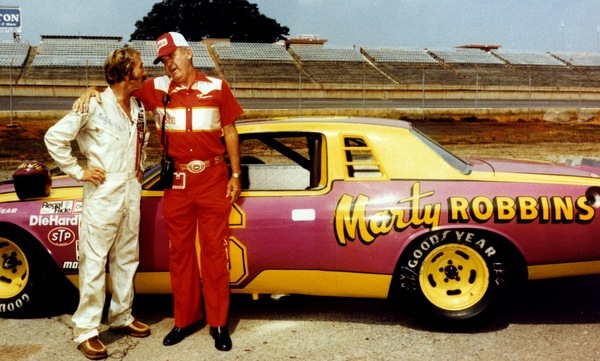 Marty loved NASCAR racing and as he had the funds to do so, he raced occasionally. His cars were built and maintained by Cotton Owens. 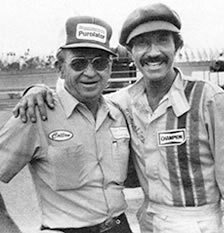 Marty Robbins always tried to run at the big race tracks (Talladega Superspeedway, Daytona International Speedway) every year, and then a smattering of the smaller races when time permitted. 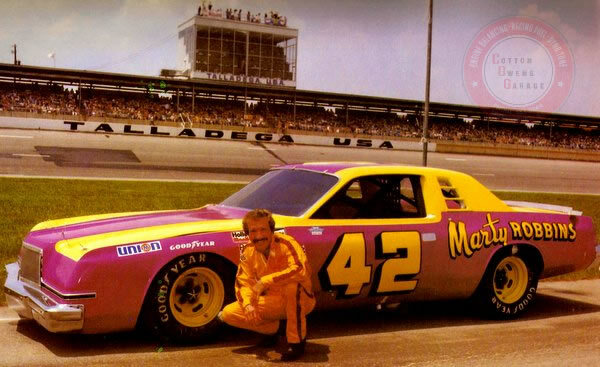 In 1983, one year after Robbins' death, NASCAR named the Nashville Fair Grounds race the Marty Robbins 420 in honor of him. Robbins typically ran cars bearing either number 42 or number 22. 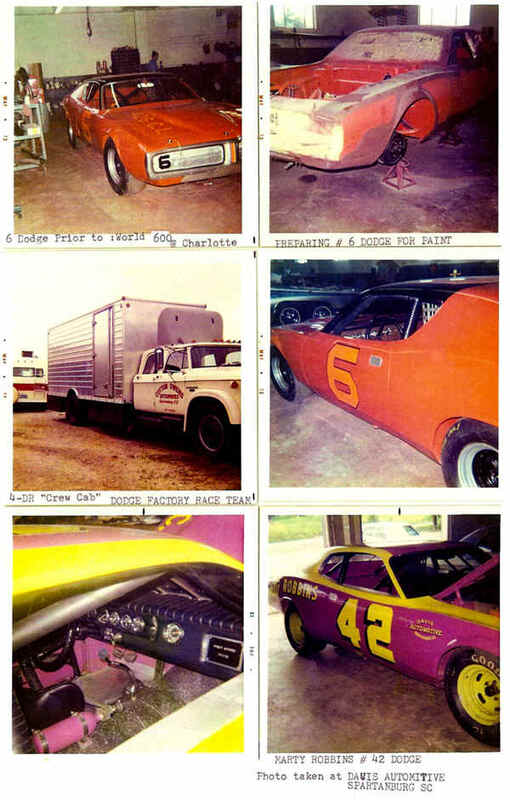 Over the years, he ran a few makes and models (Dodges or Fords) before buying a 1972 bodied Dodge Charger race car from Owens. 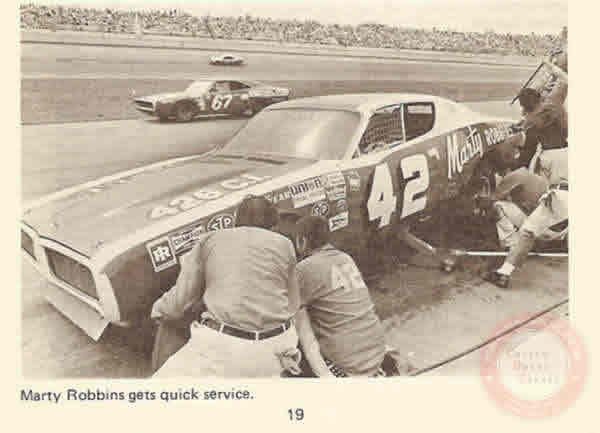 Robbins had 6 top-ten finishes as well as a few major wrecks during the '70s and had Owens rebuild the car and update the sheet metal to the '73-'74 Charger spec, and then finally 1978 Dodge Magnum sheet metal, which he raced till the end of 1980. This car was superbly restored by Owens and donated to the Talledega Museum by his family, and was displayed there from 1983 to 2008. The car is now in private hands in Southern California and raced on the Vintage NASCAR club circuit. 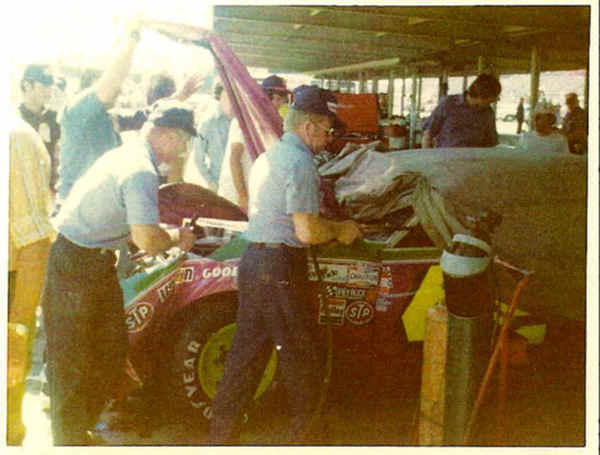 Marty is credited with possibly saving Richard Childress's life at the 1974 Charlotte 500 by deliberately crashing into a wall rather than t-bone Childress's car that was stopped across the track. 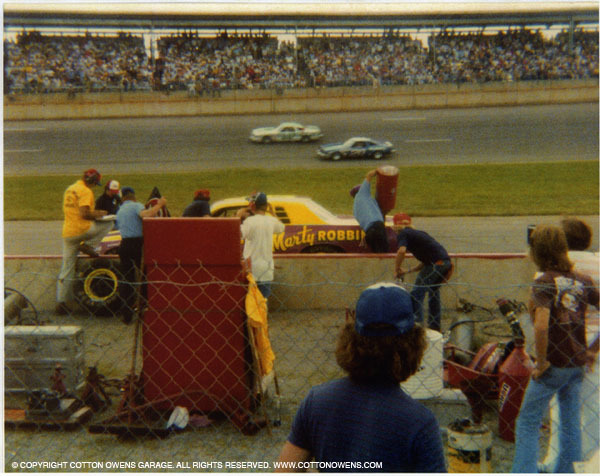 Marty's final NASCAR race car was a 1981 Buick Regal that he rented and drove in a few races in 1981 and 1982. 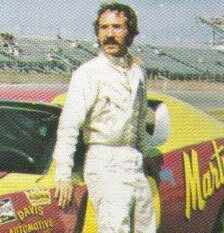 In addition to his recordings and performances, Robbins was an avid race car driver, competing in 35 career NASCAR races with six top-10 finishes, including the 1973 Firecracker 400. In 1967, Robbins played himself in the car racing film Hell on Wheels. 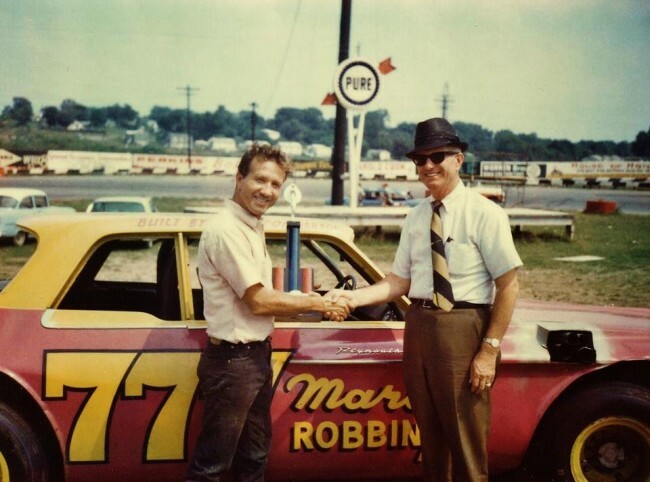 Robbins was partial to Dodges, and owned and raced Chargers and then a 1978 Dodge Magnum. His last race was in a Junior Johnson-built 1982 Buick Regal in the Atlanta Journal 500 on November 7, 1982, the month before he died. 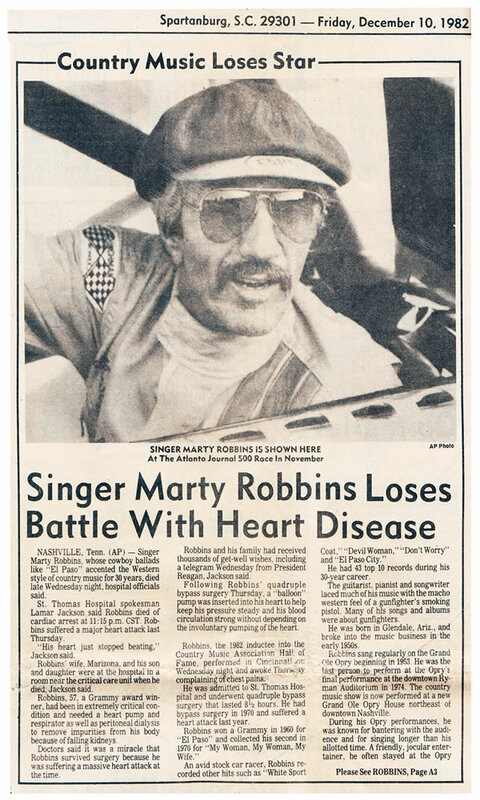 In 1983, NASCAR honored Robbins by naming the annual race at Nashville the Marty Robbins 420. He was also the driver of the 60th Indianapolis 500 Buick Century pace car in 1976. 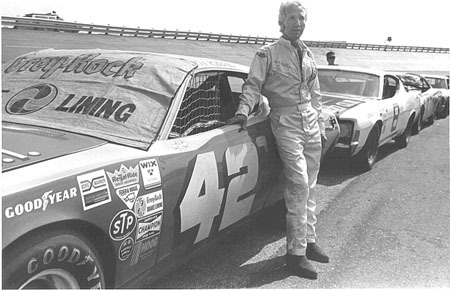 He ran many of the big super speedway races including Talladega Superspeedway in 1972, when he stunned the competition by turning laps that were 15 mph faster than his qualifying time. 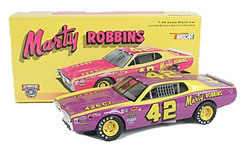 Apparently, in his motel room, Robbins had knocked the NASCAR-mandated restrictors out of his carburetor. After the race, NASCAR tried to give him the Rookie of the Race award, but Robbins would not accept it, admitting he was illegal because he "just wanted to see what it was like to run up front for once." 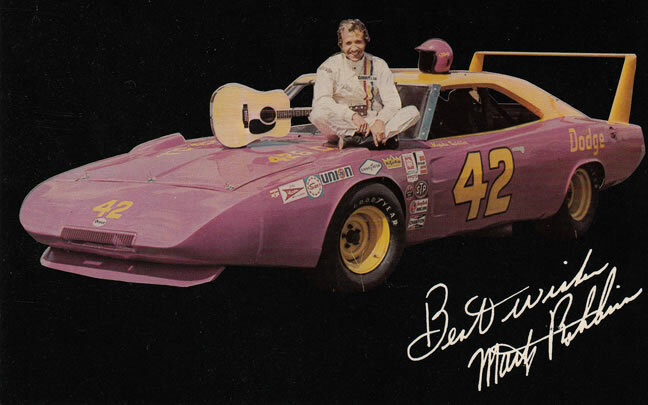 Marty began driving late model stock cars in 1965 and continued until the month before his death. The following is a list of some of the races he competed in and how he finished. 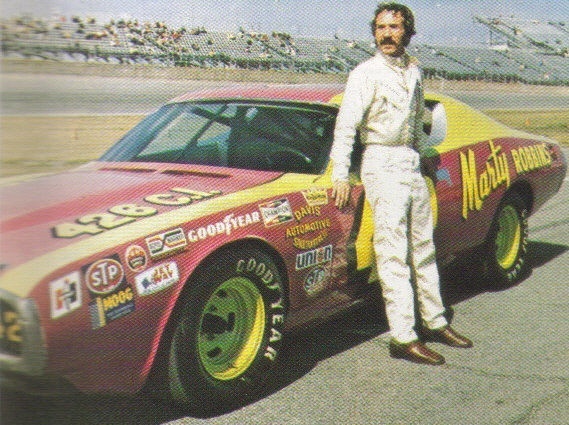 One of the most interesting anecdotes of the 1972 season involves Dodge driver and noted country and western star Marty Robbins. 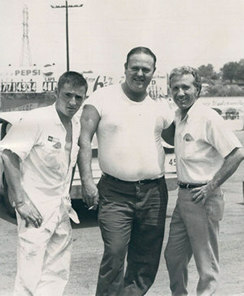 Robbins competed on the NASCAR circuit from time to time in addition to his regular competition at the Nashville Fairground track, followed by his rush across town for his regular appearance on the late Grand Old Opry Saturday Night Show. 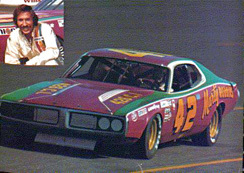 It seems that at the May 7, 1972 "Winston 500" at Talladega, Marty Robbins' Dodge Charger ran extremely well. As a matter of fact, uncharacteristically, he was running with the leaders and regularly passing cars that he ordinarily did not pass. Late in the race Robbins' car was clocked at 188 MPH, which was about 14 MPH faster than he had qualified. After the race, the story goes, Marty went up to one of the NASCAR officials and told him that something had to be wrong with his car--it ran too fast. Robbins then suggested that the official check his carburetor. When the carburetor was checked, it was found to be illegal, and Marty's car was disqualified. According to Greg Fielden, the lost purse cost Robbins about $1300, about which he laughed, "It was worth it. In fact, I'd have paid that much money for a picture of Joe Frasson's face when I passed him." Frasson's Dodge finished sixth, one lap off the pace in that race. Joe Frasson was also apparently quite a character in his own right. He even made an appearance at Volunteer Speedway, the three-eighthes mile dirt track in Bulls Gap, Tennessee, where he produced a very vivid and memorable image as he walked around the pits in his characteristic black felt slouch hat. However, at Bulls Gap on the night he ran there, his car was not competitive with the track regulars. 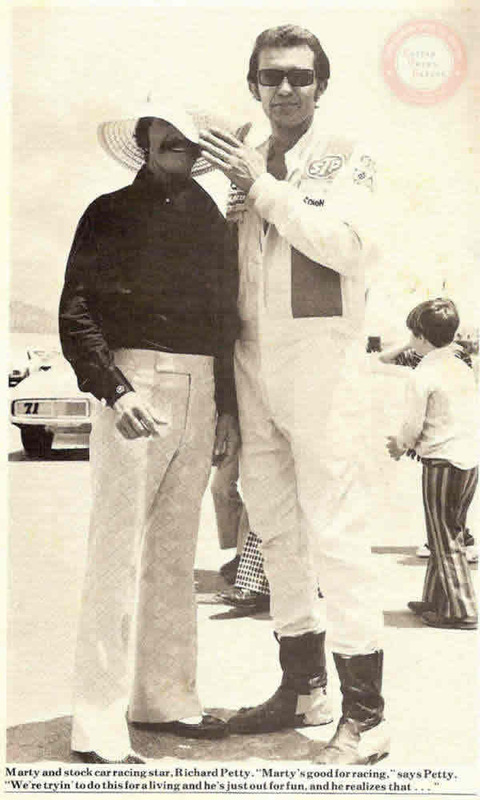 Incidentally, in that same event in which Marty Robbins' Dodge "ran so well", NASCAR fans saw the first Winston Cup appearance of super star to be Darrell Waltrip. Daytona Beach, FL Only completed three laps due to a blown fuse. Briston, TN Didn't finish due to blown engine. 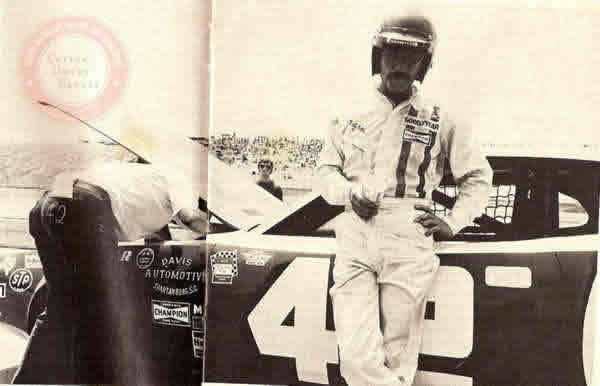 Started 9, Finished 18th but disqualified himself for running the last 100 miles without carburetor restrictor plates. Marty also refused to accept the "Rookie of the Race" award, the money for an 18th place finish, or the Grand National Driver points. Marty was given $745 for a 50th place finish, and fined $250 by NASCAR. Lee Roy Yarbrough was given the "Rookie of the Year" award. Nashville Speedway, "Marty Robbins Appreciation Night"
Trying to avoid hitting stalled cars, Marty hit the wall at 160 mph. Marty's injuries resulted in 37 stitches on his face, two broken ribs and broken tailbone. After a wreck that resulted in a ruptured gas tank and a fire, Marty said he was going to retire from racing. Nashville, TN Freddy Fryar qualified Marty's car for him. 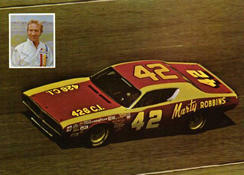 Marty began using the numbers "6" or "36" at this point, as he allowed Kyle Petty to use #42. This webpage is dedicated to my mother, who bought me a goldfish when I was a young boy that I dearly named Marty Robbins. Thanks mom!